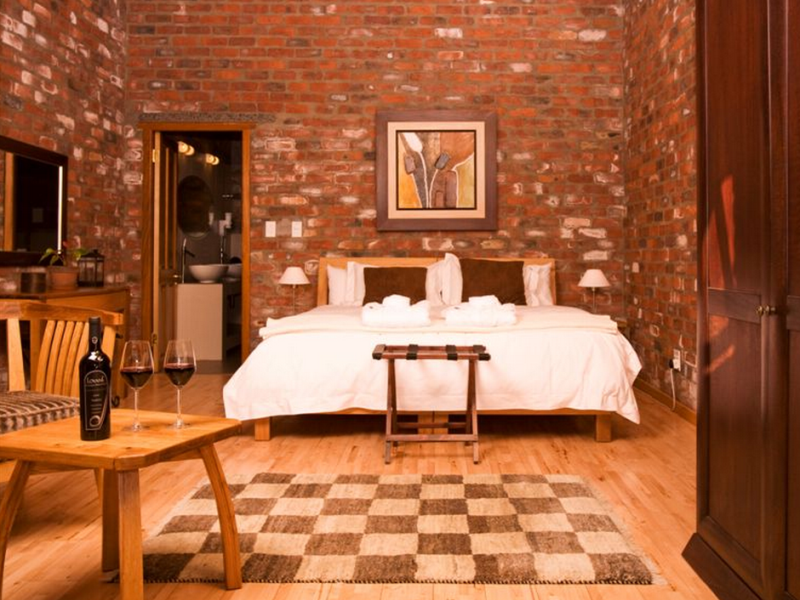 ﻿ LovanE Boutique Wine Estate and Guest House Stellenbosch. JIMAT di Agoda.com! Ada soalan mengenai LovanE Boutique Wine Estate and Guest House? Menawarkan penginapan yang berkualiti tinggi di daerah romantik, restoran, siar-siar di Stellenbosch, LovanE Boutique Wine Estate and Guest House merupakan pilihan popular untuk kedua-dua tujuan perniagaan dan percutian. Terletak hanya 10.5 Km dari pusat bandar, para tetamu berada di lokasi sesuai untuk menikmati tarikan dan aktiviti di sekitar bandar. Tidak kurang hebat adalah akses mudah hotel untuk ke pelbagai daya tarikan dan mercu tanda bandar, seperti Butik Wain Estet LovanE, Estet Wain Neethlingshof, Overgaauw Wine Estate. Kemudahan dan perkhidmatan yang disediakan oleh LovanE Boutique Wine Estate and Guest House memastikan penginapan yang menyenangkan bagi para tetamu. Untuk keselesaan dan kemudahan tetamu, hotel ini menawarkan Wi-Fi percuma semua bilik, pendiang api, fasiliti tetamu kurang upaya, Wi-Fi di tempat awam, tempat letak kereta. Tetamu boleh memilih dari 9 bilik, semuanya yang akan memberikan suasana ketenangan dan keharmonian. Sepanjang hari anda boleh menikmati suasana yang santai dengan kolam renang terbuka, rumah urut, taman. 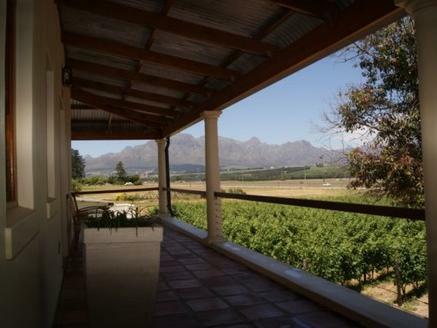 LovanE Boutique Wine Estate and Guest House merupakan pilihan yang bijak bagi pelancong ke Stellenbosch, menawarkan penginapan yang santai dan mudah setiap kali. Lovely stay, nice room, good breakfast. Just a shame no food served at night. LovanE is spotless and staff are very friendly in a convenient area! Absolute perfection. From the lovely lady who checked us in, through to the top quality of the breakfast, splash pool and polite staff. Not to be missed. We really enjoyed our stay but it's a shame that the place shuts down at 5 pm and they don't offer dinner. It means you have to go out elsewhere in the evenings which is not great when you don't have a car. Otherwise really nice B&B. We had one of the deluxe rooms. It was well appointed & the bathroom was fantastic. However at 7-00am we were awoken abruptly by all the noise from the rooms below, clanking of equipment etc. On checking out we were just told that they are harvesting. Well I understand it has to be done but they should have some consideration for the guests above paying nearly a £100 a night to stay! We had a great time in Lovane Boutique Wine estate and Guest house. We have book for standard room but because they were in construction outside, they upgraded us in the suite for the same original price. The rooms was perfect with a gorgeous bathrooms. Since we have a booked an activity early in the morning, we didn't have problems with the construction. Room views. Good breakfasts. On site wine tasting! Stayed 2 nights in a vineyard room which was lovely and had views over vineyards of course! - roomy with good shower room. Quiet. Close to pool. Great breakfasts al fresco by koi carp pond. Very friendly and helpful staff. Complimentary bottle wine on arrival and free wine tasting - fantastic.Can def recommend. Short drive to Stellenbosch and plenty on site parking. 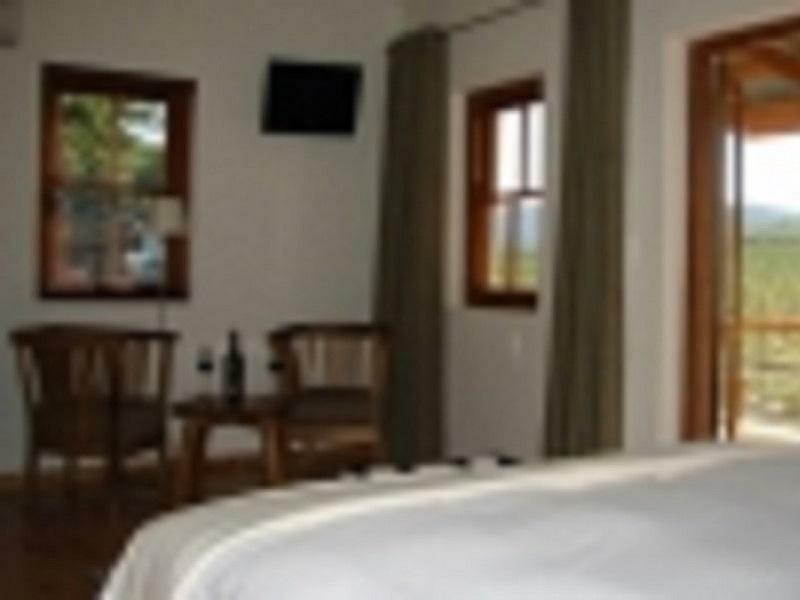 Bed comfort, mountain views, vineyard location. Only stayed one night but would definitely stay again. 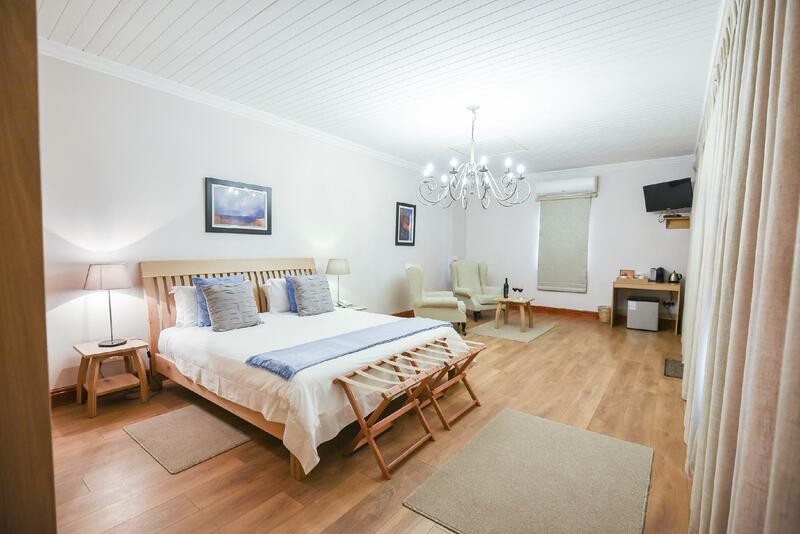 Standard room was very comfortable with wood decor, balcony, very modern bathroom, safe, well stocked mini bar and a complimentary bottle of estate wine. If you ask the owner/manager they will show you the wine cellar. We enjoyed two lovely nights at this hotel on 4th and 5th Devember 2014. The staff were very friendly and extremely helpful. We had a pleasant supper and delightful breakfast al fresco by the Carp Pool. 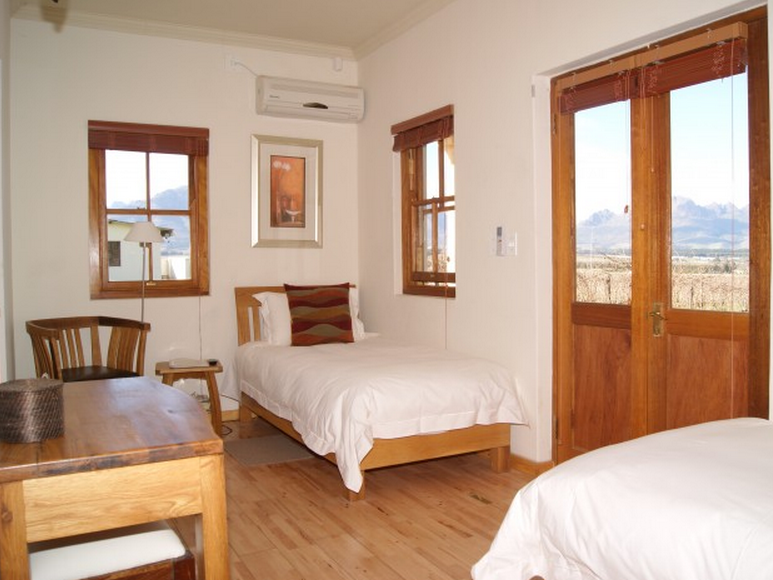 The hotel is conveniently situated for Stellenbosch and the surrounding area. Enjoyed our stay, friendly staff. We stayed at LovanE for two nights. It is very easy to find the the guest house. Check-in was a breeze. We arrived late, and had to find dinner elsewhere as they do not serve dinner here. However, the other wineries have with restaurants, and they were all nearby so it was not a problem at all. There was a power shortage on the second night, but it was resolved swiftly. The host made sure we were comfortable, and even helped us order takeaway. We enjoyed our stay here because we felt like the whole place was ours as it was not teeming with people, so it was very peaceful and quiet. Not much to do besides relax, enjoy wine, the view, and swim. Check that your window's not facing the koi/frog pond, it can get noisy at night. Pleasant, enjoyed it a lot. Close to a lot of interesting places and nice restaurants. Wonderful. Great, honest, and helpful staff. Although I do wish the rooms were larger, but fit in to what we were paying well.